On Friday as "Snowzilla" was bearing down on the east coast a producer at NBC News asked me to explain our collective fascination and anxiety about weather. I don't pretend to have the answer key but I have a few theories. We consider ourselves technologically-advanced, yet nobody has figured out a way to stop a storm. We are powerless in the face of nature. Our hubris does have limits. And a mega-storm is democratic, affecting rich and poor, city dwellers and suburbanites. Storms don't discriminate. They also unite us in a way few other things can. Quiet weather lingers into the weekend - no drama brewing close to home, which is standard fare for an El Nino winter in Minnesota. A thaw is likely later this week into the weekend. A Friday slush event is possible, but ECMWF guidance keeps next week's storm south and east of Minnesota. We'll see. Although the coldest temperatures of winter are probably behind us NOAA's GFS model brushes Minnesota with a few subzero nights by late next week. A few more numbing temperature relapses? Count on it. Above Average. European guidance shows temperatures at or just above 32F from Wednesday into Sunday, followed by a cooling trend next week. A clipper-like system may arrive with a burst of mixed precipitation or wet snow late Friday into Saturday - a light, slushy accumulation can't be ruled out. Potential Snow Event Next Week? I'm not buying it, not yet, especially since ECMWF whisks the storm south and east of Minnesota, but GFS guidance hints at a plowable snowfall next Tuesday and Wednesday, a possible storm spinning up along the leading edge of colder air. We're due for a little snow, but I wouldn't celebrate (or panic) just yet. Model: NOAA and AerisWeather. Temperature Relapse. Although not as cold as 7-10 days ago, models show a slow-motion temperature tumble next week; maybe a few days in single digits and teens late next week and next weekend - a couple nights below zero? Although long-range models suggest a warm bias returning much of February and March I wouldn't pack away the parkas just yet. Source: Aeris Enterprise. Temperatures Recover by Second Week of February. 500 mb forecast winds (GFS) show a return to modified zonal flow by the evening of February 8; Pacific-moderated air pushing back into Minnesota by the second week of February. Blizzard Aftermath. Crippling snows from Lexington, Kentucky to the hills of North Carolina to Washington D.C. and New York City - what is impressive is the scope of 2-foot-plus snows. Here's a terrific visible image of the snowy swath left behind by "Jonas", courtesy of UW-Madison CIMSS. Snowfall Totals. Map courtesy of The New York Times - it's the first time both Washington D.C. and New York City observed over 18" of snow from the same system. Are We "Juicing" Snowstorms Too? Warmer water = more water vapor, more potential fuel for not only summer thunderstorms but winter storms, especially Nor'easters roaring up the east coast. Here's an excerpt of an interesting article from NASA's Earth Observatory: "...The increase in precipitation doesn’t just apply to rain. NOAA scientists have examined 120 years of data and found that there were twice as many extreme regional snowstorms between 1961 and 2010 as there were from 1900 to 1960...."
Snowmageddon Redux. Climate Nexus takes a look at the role of unusually warm ocean water in spiking snowstorms; here's an excerpt: "...Mid-Atlantic sea surface temperatures are currently at a near-record high (at 5˚F to 7°F above average). 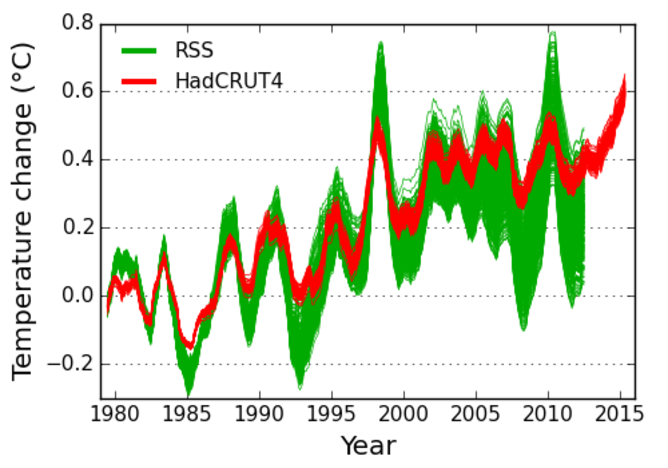 NCAR scientist Kevin Trenberth attributes up to half of this extra heat to global warming. Extra heat in the ocean and atmosphere fuels storms with more energy and moisture. 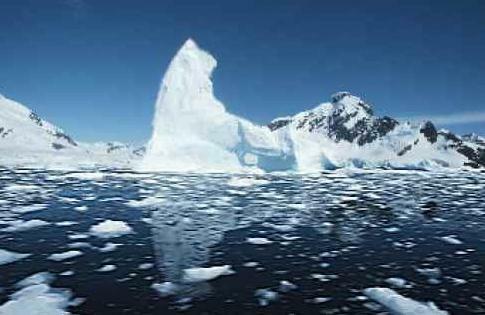 Global warming—working in tandem with large-scale patterns like El Niño and the warm phase of the Atlantic Multidecadal Oscillation—is linked to the warm ocean temperatures. This storm is being compared to 2010’s “Snowmageddon,” which was also strengthened by warmer waters in the Atlantic (1.5°F/ 3°C) and high sea surface temperature (SST) anomalies in the Pacific, which modified the general flow of the of the atmosphere and affected weather conditions in many parts of the world..."
Oceanic Warming Trend. An estimated 93% of additional heat energy produced by greenhouse gases, mainly CO2, is going into the world's oceans. This not only results in thermal expansion and rising sea levels, but higher water vapor levels, more moisture available for developing storms, especially close to the coast. Graphic above: Larry Hamilton. Drone Captures New Jersey Storm Surge Flooding. A post at patch.com caught my eye, showing the extent of flooding along the southern New Jersey coast. Not on the scale of "Sandy" in 2012, but there was disruption: "Severe flooding overwhelmed much of Cape May County over the weekend, as documented in the attached video posted on Facebook by Seven Mile Times. The footage shot by a drone shows a town engulfed by water as of 8:30 a.m. Sunday morning. In Ocean City, much of the flood water has receded, but power outages remain in the county. Flooding delayed Atlantic City Electric’s efforts to deal with many of the outages on the coast over the weekend..." (Drone footage: Seven Mile Times). NJ.com Users Blast Christie "No Flood Damage" Remarks. Here's a link to the story at NJ.com. Christie Keeps Downplaying Flooding, Says Reporter "Making Up" Criticism. Here's a clip from a story at New Jersey 101.5: "...Christie, however, has said the flooding wasn't as bad as it could have been, as the water began to recede on Sunday morning. North Wildwood Police on their Facebook page reported a crest over 9 feet during Saturday morning's high tide and flooding up to Atlantic Avenue on most streets. North Wildwood Mayor Patrick Rosenello told Philly.com that the flooding was "absolutely worse than Sandy," and credited early evacuations for helping keep residents from getting stranded ini their homes..."
Photo credit: North Wildwood Police Department and Facebook. More from Reuters. Christie, however, has said the flooding wasn’t as bad as it could have been, as the water began to recede on Sunday morning. North Wildwood Police on their Facebook page reported a crest of over 9 feet during Saturday morning’s high tide and flooding up to Atantic Avenue on most streets. North Wildwood Mayor Patrick Rosenello told Philly.com that the flooding was “absolutely worse than Sandy,” and credited early evacuations for helping keep residents from getting stranded in their homes. Weird Weather? Blame the North Atlantic. It's complicated. Here's a clip from The Conversation: "...Very different conditions unfolded through winter 2013-14. By March 2014, a “cold patch” had developed in the Atlantic south of Greenland. It proved resilient. The cold patch again survived summer and not only re-emerged but remarkably intensified through last year, peaking in August, and persisting into November and December of 2015. In fact, across the two hottest years on record, that region of the Atlantic has stood out for actually being colder than usual. This has a big knock-on effect elsewhere. The cold patch may have displaced and invigorated the jet stream and exposed the UK to a flow of mild and moist Atlantic air from the south-west, which links it to the very unusual recent weather..."
MIT Joins Global Hunt for Ways To Cut Carbon. 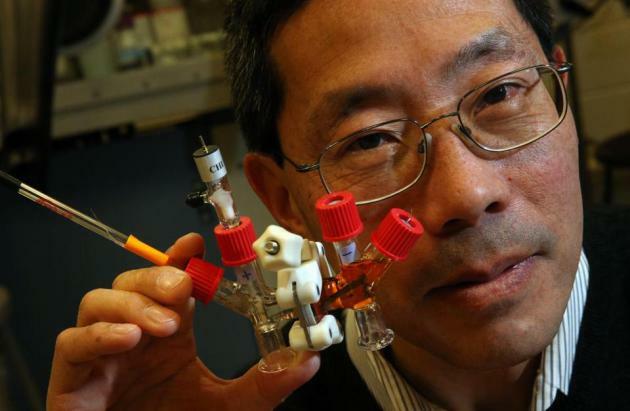 The Boston Globe reports; here's an excerpt: "...History says we can invent our way out of this, and that’s what we’re trying to do,” said Robert Armstrong, a professor of chemical engineering who is the director of the MIT Energy Initiative. For example, Jacopo Buongiorno, a professor of nuclear science and engineering who serves as director of the Center for Advanced Nuclear Energy Systems at MIT, envisions a future for nuclear power — at sea. The regulatory challenges may be too great in the United States, where the number of nuclear plants has declined in recent years, but he has been working on building a plant that could be moved around the world, depending on where market conditions were favorable..."
Photo credit: Craig F. Walker/Globe Staff. A Question of Environmental Racism in Flint. In case you missed this at The New York Times; here's the intro: "If Flint were rich and mostly white, would Michigan’s state government have responded more quickly and aggressively to complaints about its lead-polluted water? The 274 pages of emails released by Gov. Rick Snyder this week on Flint’s water crisis included no discussion of race. Instead, they focused on costs relating to the city’s water supply, questions about scientific data showing lead contamination and uncertainty about the responsibilities of state and local health officials..."
Photo credit above: "From left, Marcus Shelton, Roland Young and Darius Martin retrieved free water on Sunday at Heavenly Host Full Gospel Baptist Church in Flint, Mich., where the water supply has been tainted." Credit Jake May/The Flint Journal, via Associated Press. Snowboarding With the NYPD. If you haven't seen this it's worth your time - a YouTube clip of entrepreneur Casey Neistat "surfing" the streets of Manhattan. It isn't often you get to pull this off (and document it!) And no, don't try this at home. 30 F. high in the Twin Cities on Monday. 24 F. average high on January 25. 35 F. high on January 25, 2015. 5" snow on the ground at KMSP. - 1.2 F. January is running just over 1F colder than average in the Twin Cities, to date. * Photo above courtesy of Bob and Leslie Ball in Bethesda, Maryland. Record Hot Years Near Impossible Without Manmade Climate Change. Here's the introduction to a story at The Guardian: "The world’s run of record-breaking hottest years is extremely unlikely to have happened without the global warming caused by human activities, according to new calculations. Thirteen of the 15 hottest years in the 150-year-long record occurred between 2000-14 and the researchers found there is a just a 0.01% chance that this happened due to natural variations in the planet’s climate..."
What Are The Odds? 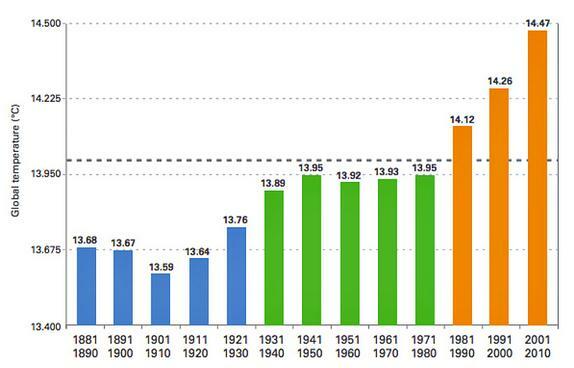 Temperature Records Keep Falling. Following up on the story above, here's an excerpt of a piece from Penn State climate scientists Michael Mann at livescience.com: "...While the precise results depend on various details of the analysis, for the most defensible of assumptions, our analysis suggests that the odds are no greater than one in 170,000 that 13 of the 15 warmest years would have occurred since 2000 for the Northern Hemisphere average temperature, and one in 10,000 for the global average temperature. Even when we vary those assumptions the odds never exceed one in 5,000 and one in 1,700, respectively..."
Graphic credit above: "Historical Northern Hemisphere mean-temperatures (black solid line) along with the estimated natural component alone (black dashed line) and five of the surrogates (colored curves) for the natural component. Temperature departures are defined relative to the long-term 1880 to 2015 average." Map credit above: "A high-resolution map based on NOAA solar irradiance data showing one measure of solar energy potential across the United States." Credit: Chris Clack/CIRE. We Just Had The Hottest Year on Record. Where Does That Leave Climate Denial? Cue the conspiracy theories. Here's a clip from The Conversation: "...Enter denial strategy two: that if every scientific agency around the world agrees on global warming, they must be engaging in a conspiracy! Far from being an incidental ornament, conspiratorial thinking is central to denial. When a scientific fact has been as thoroughly examined as global warming being caused by greenhouse gases or the link between HIV and AIDS, then no contrary position can claim much intellectual or scholarly respectability because it is so overwhelmingly at odds with the evidence. That’s why politicians such as Republican Congressman Lamar Smith need to accuse the NOAA of having “altered the [climate] data to get the results they needed to advance this administration’s extreme climate change agenda”. 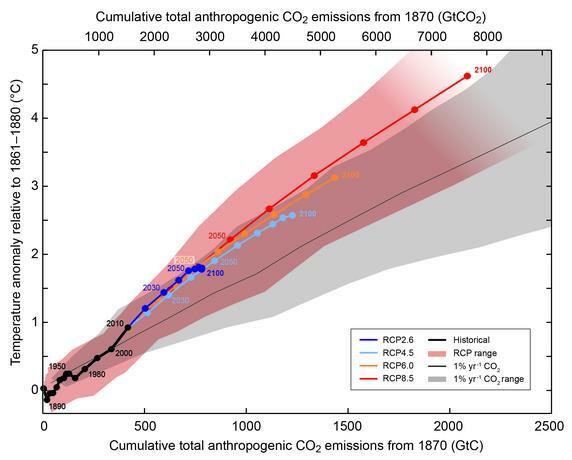 If the evidence is against you, then it has to be manipulated by mysterious forces in pursuit of a nefarious agenda..."
Graph credit: "Satellite data (green) has much more uncertainty than thermometer records (red)." Kevin Cowtan / RSS / Met Office HadCRUT4, Author provided. 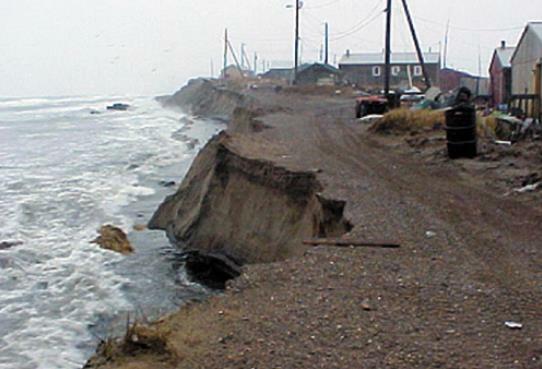 Climate Change Denial Isn't Politically Sustainable for the GOP. Here's an excerpt from Huffington Post: "...In an interview with The Huffington Post at the World Economic Forum in Davos on Friday, Cramer predicted Republican candidates will soon have a difficult time campaigning on a platform that denies climate change. "Over the long run, and soon in the short run, it’s not going to be viable politically to be seen as anti-science," he explained. "All the polling shows that rising generations in particular reject that kind of thinking ... it's seen as anti-modern..."
If Exxon's Punished for Climate Change, It'll Be For Lying to Investors. WIRED reports; here's a snippet: "...There’s an irony here: If the law finally does come down on an oil company, the charges won’t be for damages done to the planet. It will more likely be the for the crime of lying to investors about the risks climate change posed to Exxon’s own bottom line. If corporations have an Achilles’ heel, it’s that they have an obligation to tell their investors about anything that might affect business. “Climate disruption is a risk to Exxon in two basic ways,” explains David Driesen, professor at Syracuse University College of Law. “One is through directly disrupting their refineries and drilling operations.” Through sea level rise, or intensified storms, for instance. “And the second is through regulatory risks,” says Driesen..."
Op-Ed: Two Irrational Responses to Climate Change: Witch Hunts and Denial. Here's a snippet of the Op-Ed at The Los Angeles Times: "...A study this month in the journal Global Environmental Change reveals not only that climate denial remains robust, but the extent to which our leaders are systematically influenced by a small number of think tanks that have upped their anti-science messaging — from policy papers to speeches to press releases — exponentially. The 19 industry-funded groups produced 16,028 of these contrarian documents between 1998 and 2013. (A content analysis found that in addition to disputing the science, they frequently questioned the integrity of specific climate scientists – modern-day witch hunts alleging mathematical and other “tricks.”)..."
Image credit above: "A frontispiece to a tract by German legal scholar Ulrich Molitor in 1489 depicts witches brewing "weather magic." (Los Angeles Times). Interview with Dr. John Abraham on Renewable Energy and Climate Change. Dr. Abraham at The University of St. Thomas conducted an interview with Green Energy Scotland; here's an excerpt that caught my eye: "...The resistance can be traced to how people view the balance between personal freedom and collective action for the common good. Some people will never support actions to halt climate change or even accept the science because they are afraid that if they accept the science, they will be forced to give up personal freedom. The irony is that had we taken action years ago, the problem would be much smaller than it is now. The longer we wait, the harder it will be to solve the problem...."